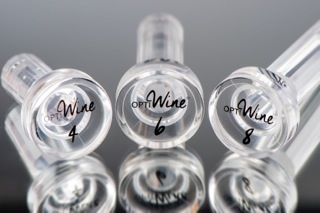 Thanks to unique patented method in the world, Optiwine, of 100% French conception and manufacture, brings out all the gustatory qualities of wine. After three years research the oenologist Michael Paetzold in association with Olivier Caste devised a concept based on the nano-aeration of wine molecules. Optiwine offers the possibility for everyone to discover the breadth of aromatic complexity of a wine in all its subtle nuances after the bottle has been opened, with the promise of a more intense tasting experience. Wine lovers long to be able to taste their wines in optimum condition. Numerous factors, such as when the bottle should be opened, its temperature, whether the wine should be decanted or not mean that the results can be variable and often disappointing, when opening a bottle of wine. 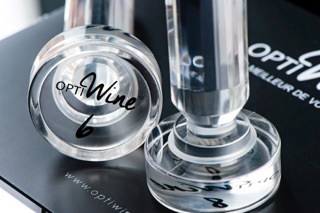 It is this problem that Michael Paetzold and Olivier Caste, both great wine experts, addressed in creating Optiwine, a unique device that reveals and harmonizes the subtlest aromas in wine, which are otherwise often discernible with difficulty. "Few days ago, my friends Mickaël Paetzold and Olivier Caste presented me Optiwine. I was skeptical, thereby we tasted several vintage, young and old. Spectacular results, delightful wines expressions and vintages ! Thank you for this nice work. 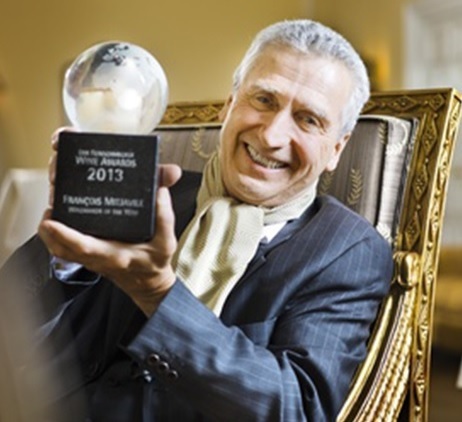 Michael Paetzold, a well-known figure in wine circles for 25 years and expert in oeno-techniques, engaged in research for three years in order to perfect the Optiwine method. After having observed that during tasting a large number of gustatory molecules remained unexploited, he focused his research on the process of nano-aeration. Innumerable comparative tastings of over 300 wines were undertaken in order to develop and perfect the product. 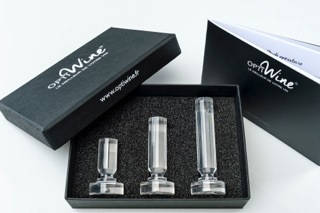 The Optiwine method of nano-aeration allows a controlled introduction of up to 100 times less oxygen than that experienced when a bottle is opened in the traditional manner, allowing the wine to awaken gently, with edifying results..… The wine is at its apogee. 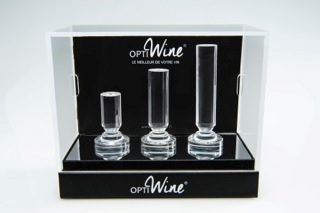 A revolutionary tool, the '"Optiwiner"
The Optiwine method uses a specially designed tool: the “optiwiner". Made from high quality resin, which offers absolutely no molecular interaction, it has the same transparency and delicacy as crystal but without its fragility. It is therefore scratch proof and can be cleaned simply by rinsing in water. All sixteen of its sides work simultaneously to harmoniously distribute the optimum quantity of oxygen. 5 times for a 150 cl bottle (magnum). Wait for at least 10 minutes before serving, leaving the optiwiner in place on the bottle, and observe the development of the wine over time. (Full instructions for use available on the website). Optiwine will organize some “Optiwine-Tasting” during the Vinexpo event, so please feel free to contact us for more information.